Mmm…coffee. The first thing you drink in the morning and your favorite drink throughout the day. Some people say you're addicted to coffee, but you know that it is just the best drink around. On October 1, celebrate your favorite beverage with this Coffee Day card! As this card shows, coffee is best enjoyed with a close companion, so send this Coffee Day card to your friends today! Nothing smells or tastes better than a fresh cup of coffee! Whether you like your cup of joe with sugar, cream, or just black, it is easily your favorite food. To celebrate your love of all things coffee, send this Coffee Day card to your caffeine-addicted loved ones! This fun occasion will bring smiles to their faces and offer the perfect excuse for another cup of your favorite blend! From the first taste to your last sip, your morning coffee is the best part of your day. 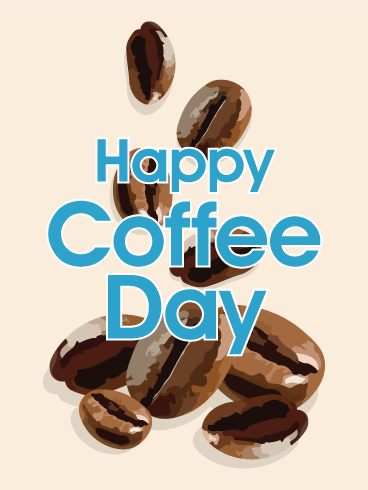 This October 1, celebrate everything you love about your favorite brew with an International Coffee Day celebration! Make a delicious cup of coffee, share it with your friends, and enjoy the comfort of a hot beverage and close companionship. 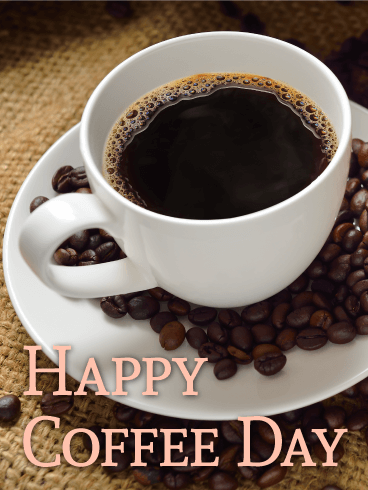 Send this Coffee Day card today! A table with coffee rings is a table much-loved. You begin every day with a hot cup of coffee at your favorite table, starting out with some warm comfort and a yummy taste. 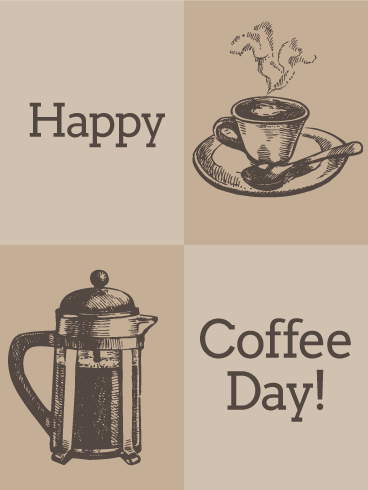 To celebrate your favorite drink, send this Coffee Day card to your favorite people! 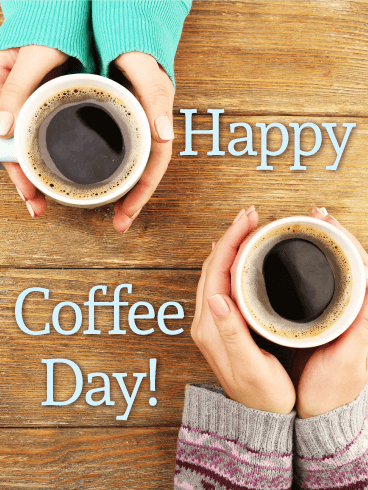 Coffee helps you start the day with energy and gives you an excuse to meet with your friends, so honor your favorite beverage with this Coffee Day card today! When you've been working hard all day, it's always a relief to take a coffee break! Whether you like your coffee black or in a sweet, blended drink, your cup of caffeine marks the best part of your day. This October 1, celebrate your love of coffee with this Coffee Day card! 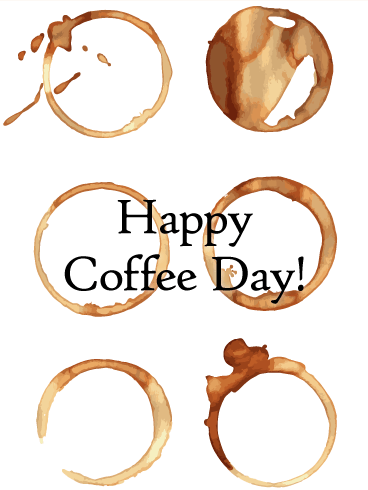 Let these coffee beans show your friends and family how excited you are to celebrate this special day!